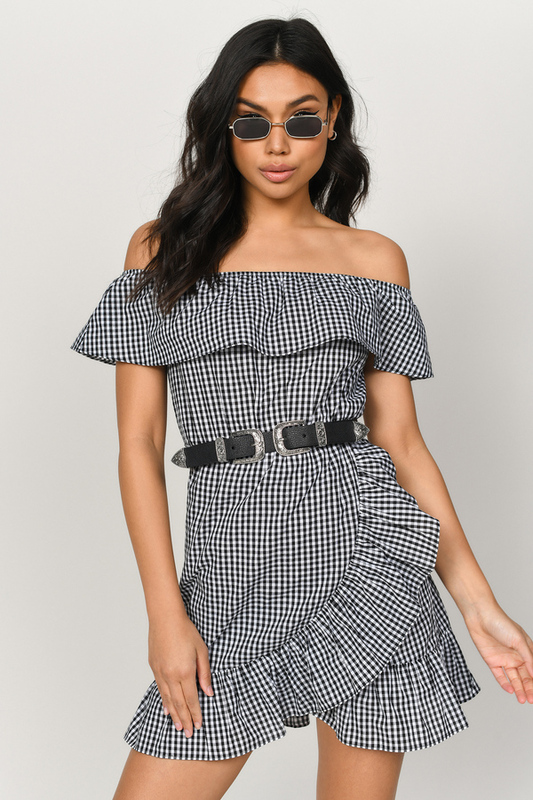 Check out Tobi's Eve Off Shoulder Skater Dress Ready for picnics, vacays, and summer parties? Us too. The Black and White Eve Off Shoulder Skater Dress is meant for summertime shenanigans. 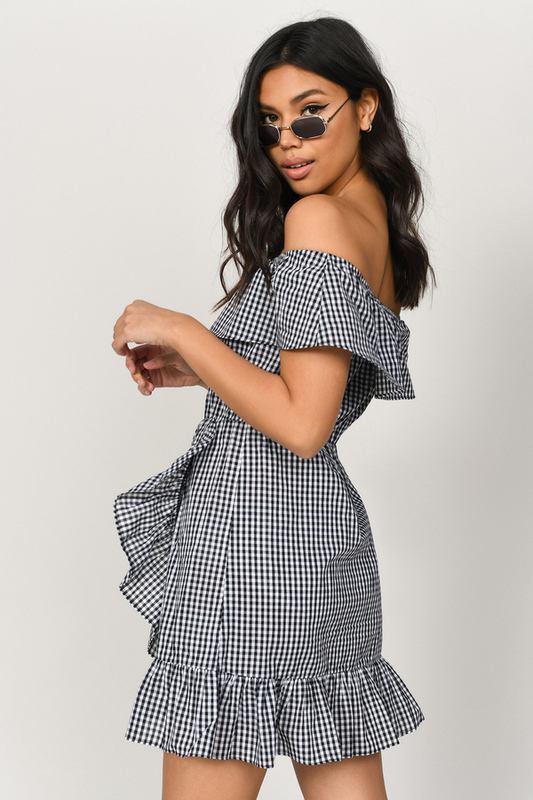 This off the shoulder mini dress features ruffle details and lovely gingham print. Ready for picnics, vacays, and summer parties? Us too. The Light Blue Eve Off Shoulder Skater Dress is meant for summertime shenanigans. 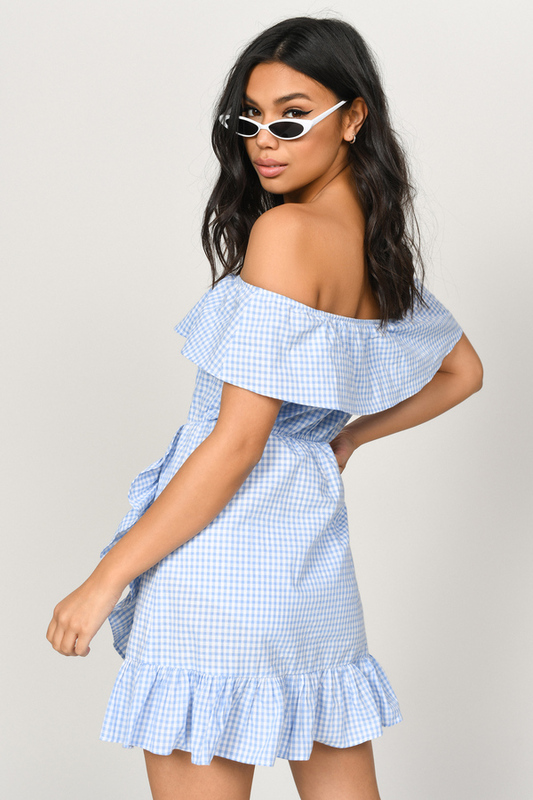 This off the shoulder mini dress features ruffle details and lovely gingham print. Ready for picnics, vacays, and summer parties? Us too. The Black and White Eve Off Shoulder Skater Dress is meant for summertime shenanigans. 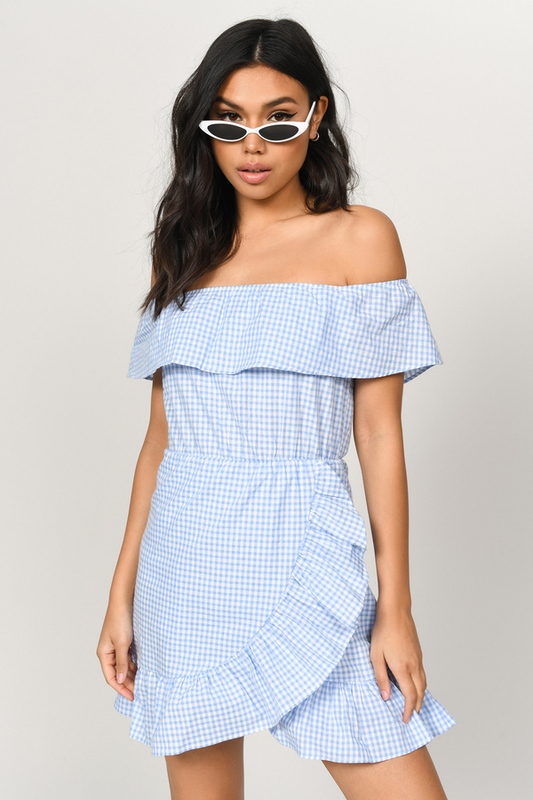 This off the shoulder mini dress features ruffle details and lovely gingham print. Black and White modeled on a size Small.